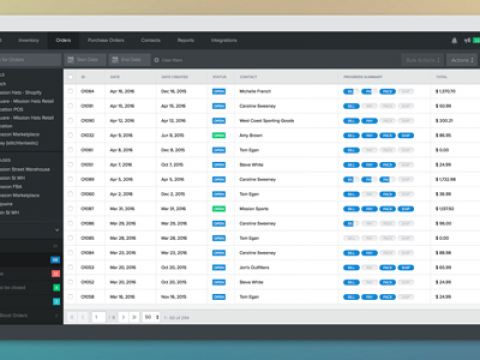 Manage and sell inventory across your multichannel business. Achieve lasting growth with an Inventory Management solution built to scale with you. Create unique, flexible workflows that empower your team to adapt and respond to customer demands. 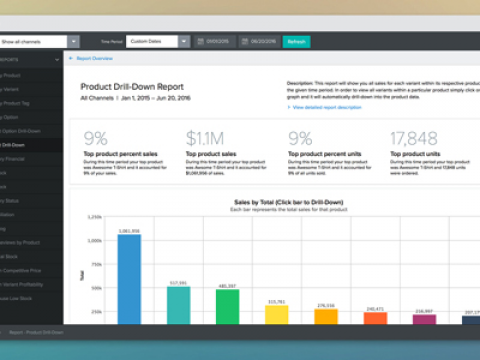 Gain complete visibility across your sales channels from demand planning to fulfillment. Why should you choose Stitch Labs? Stitch Labs provides scalable inventory and order management solutions that enable brands to achieve continued growth through advanced operational controls, flexible fulfillment, and award-winning service. For complete details visit the Stitch Labs Product Tour. Stitch Labs is hyper-focused on building the leading best-in-class solution for brands experiencing the pains and complexities of rapid growth. We achieve this by providing superior scalability, unparalleled service, and a suite of tools that enable retail operations teams to take control of their inventory. Freedom and Flexibility: We empower your teams to adapt and respond to customer demands. Sell how and where you want, respond quickly to opportunities, and create specialized fulfillment solutions that scale with your business. Growth and Scalability: With Stitch, you can automated process and workflows, and grow confidently knowing that our platform is purpose-bulit to handle your volume. Control and Visibility: Stitch enables improved visibility with cross channel syncing of inventory, accurate reporting, and a transactional approach to managing stock from purchasing to fulfillment. Multichannel and Integrated: Sitch allows you to unify your operations from front to back all in one place with 16 integrated sales channels, 14 integrated 3PL partners, and 11 integrated service partners. It’s easy to get started with Stitch Labs. you can request a demo with one of our account executives or contact us with any questions that you may have. 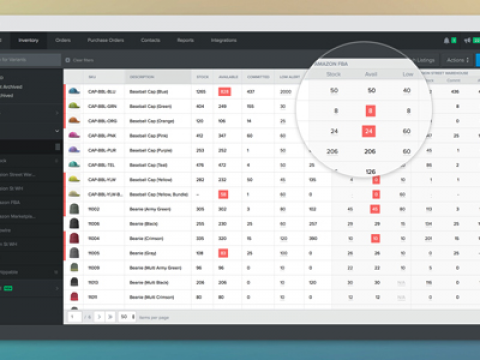 Stitch Labs is the leading inventory management system for rapidly growing brands. 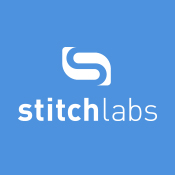 Purpose built for today’s modern multi-channel retailers, Stitch Labs provides scalability through improved efficiencies that enable sustained growth, while expanding into new channels and products. Stitch Labs also empowers retailers to take control of their operations through enhanced inventory visibility and accuracy, alongside streamlined workflows to meet the most complex and demanding operations. Committed to creating and delivering the absolute best inventory and order management solution for growth and expansion phase retailers, Stitch Labs provides its customers with unrivaled service and support. Stitch Labs is the fastest growing inventory and order management solution on the market with over18 million orders processed annually and $5 billion in annual merchant transactional revenue. Contact our support department at [email protected] You can also view our support documentation.